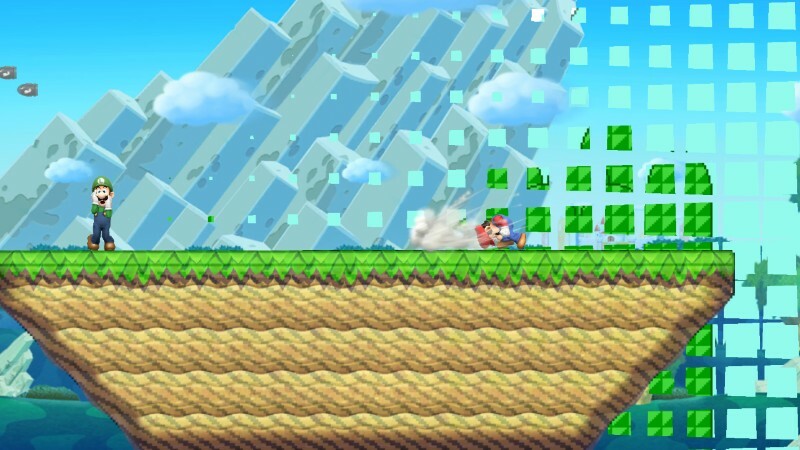 Smash Bros. Update 1.1.1 is Live, Mario Maker Stage Included! 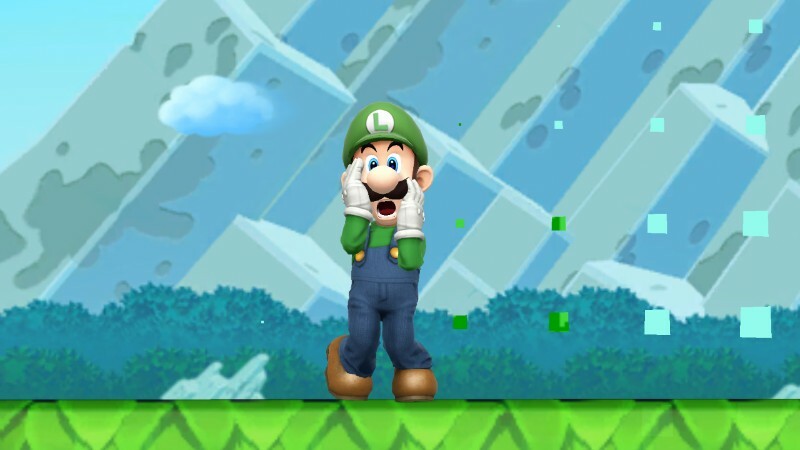 Nintendo told us all of scheduled online maintenance taking place in Super Smash Bros. for 3DS/Wii U this morning, which had to signify a new patch. Lo an behold, I’m awake early to go to school confirm! 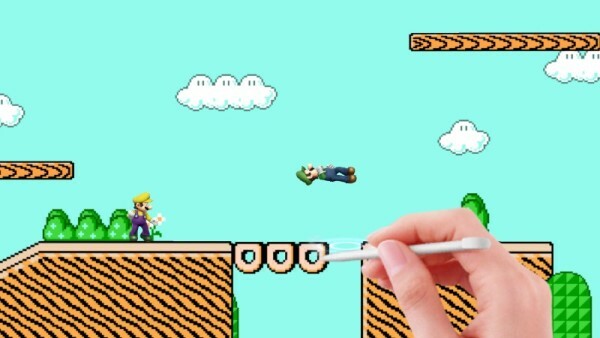 First things first, the boring stuff: The Wii U version had an update to the replay uploading function that sends them to Miiverse and YouTube. I have no idea what this involves personally because every time I try to upload a replay I get a black screen for a few minutes followed by a power-down of the console. Speaking of replays, yep – they’re all broken again because this patch brought more moveset changes. This mostly consists of custom moves this time though, so it isn’t a huge inconvenience to competitive players. You can follow the complete list of character patch updates here at Smashboards as more and more things are discovered (because actual patch notes would be too much to ask). That’s not stopping pro Smashers like the yet-undefeated ZeRo (who’s been winning every Smash 4 tournament he’s entered since the Smash Invitational before launch) from being upset at the fact that lower-tiered characters like Luigi got huge nerfs, making them less and less useful while the current top characters Sheik and Zero Suit Samus were unchanged. Personally, Jigglypuff still rocks so I don’t care. Onto the good stuff! Last time, I didn’t care about the Mii Fighter costumes. Now I do. We get pretty professional business suits that shoot missiles from a briefcase; we learn that Star Fox Zero got delayed because someone skinned Fox and made him a Mii costume; we learn Nintendo still doesn’t care enough about F-Zero to give us anything other than bits of the franchise relegated to minigames in other games *coughNintendoLandcough* or Captain Falcon’s outfit for Mii Fighters; Toad scares the snot out of me, Viridi looks very well made and OH MY GOD MONSTER HUNTER IN MY SMASH BROS. Simultaneously filling my craving for the two games to intertwine and killing my dreams of a Hunter being the winning choice from the Super Smash Ballot (that ends on Saturday, folks! Get voting! 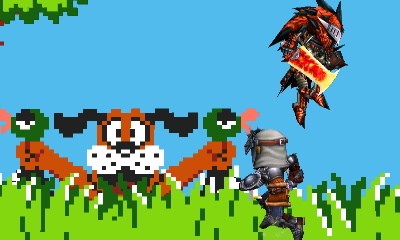 ), we get the standard Hunter armor set and the Rathalos armor set! Both come with their respective Sword and Shield weapons (I would have preferred a Great Sword but I digress), the only thing missing is the gunner armor; we get the male and female gear, but not the gunner armor. 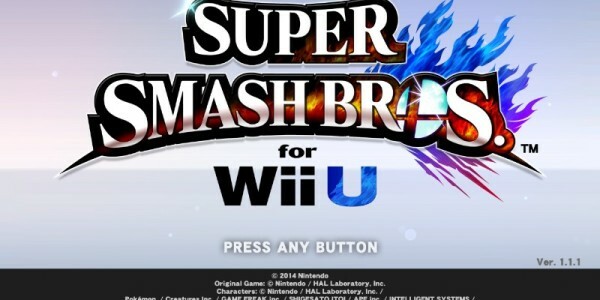 Seems like a silly choice to forgo but whatever works for Sakurai, I guess. 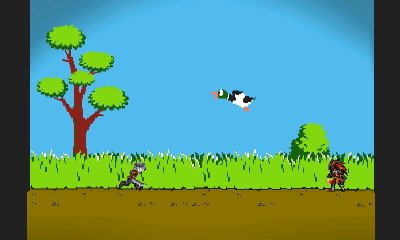 As a kind gesture to us all, the 3DS version gets one free stage included with the patch: the Duck Hunt stage! 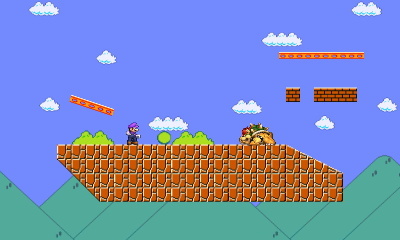 It’s exactly the same as the Wii U version, just on a smaller screen. 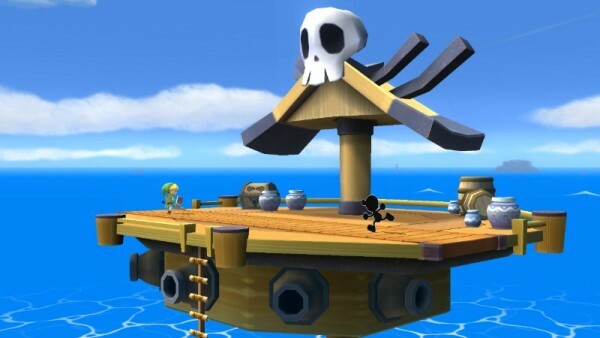 The Wii U also gets an exclusive stage in this update; coming back from Super Smash Bros. Brawl, it’s the Pirate Ship from The Legend of Zelda: the Wind Waker. Not my most requested stage, but the Omega Form is super awesome. What if, instead of being struck by cannonballs while riding the pirate ship, you were in the tower while the pirate ship rides behind you? Too meta, you say? Sakurai doesn’t care about your concerns! 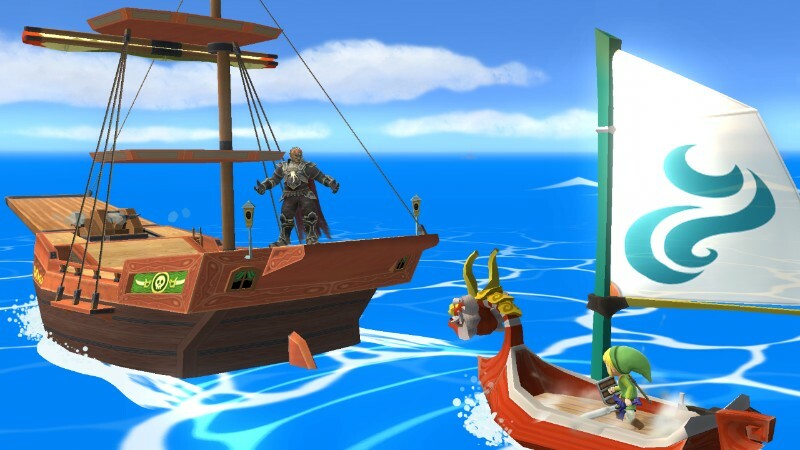 The stage is purchasable for $1.99, again only for the Wii U version. The final addition, but certainly not the least awesome, is Super Mario Maker has now sold over 1 million units worldwide as well as received a stage in Super Smash Bros! 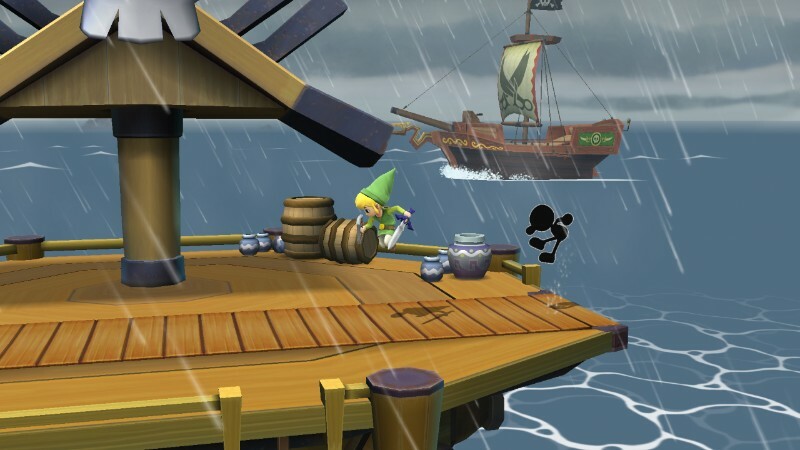 Even when you pause the game, the hand is still there…creating…waiting…watching. 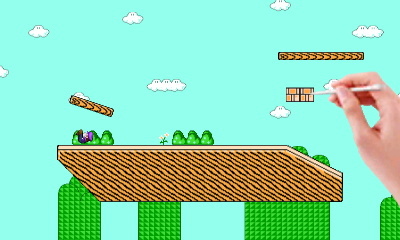 The stage truly is different every time, and will change between the four themes in the source game on the fly during the match. The Omega form doesn’t have any of the cool creating effects, but it retains the theme-swapping effect. 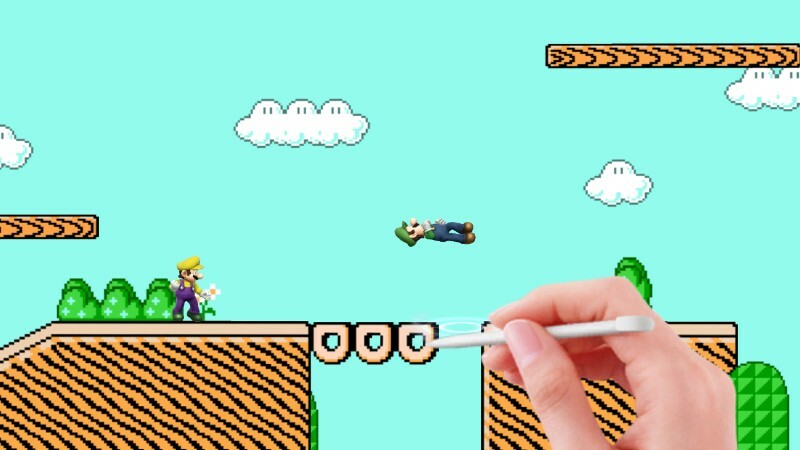 The stage is also available on Nintendo 3DS as well, Editing Hand included. You can purchase the stage for both versions for $3.49, or $2.49 separately.